Weeds are easy to spot when the grass is dormant, and I am overwhelmingly tempted to reach down and pull up the weeds by the roots when I’m out on a walk. Even when it’s not my yard. Actually, I’ve succumbed to that temptation more than once, I truly enjoy yanking them up. But the conditions, right now in Texas, are not favorable for grass growth. Our grass dies out as soon as we have one little cold snap, and it won’t green up again until the bluebonnets are in full color! Weeds, however, thrive with little or no nurturing. Weeds in our personality grow just as easy. I’m sure you know what I mean, pretty much all of us have weeds: attitudes and indulgences that we aren’t proud of, or sins that we can’t quite seem to pull completely out. And, then there’s the selfish spirit, the brash bent, the me-first mentality, the acidic attitude, or the unrepentant and ongoing sin – all the things that we might overlook in ourselves, but that we would so joyfully help others get rid of if only they let us. Perhaps they’re waiting until you and I finish tending to our own little weed patches. Yes, in case you haven’t noticed, you and I nurture some pretty substantial weeds in our personalities and the roots go all the way down to hell! Just let someone suggest we do a little personal gardening, and not only will we find excuses for our weeds, we will actually defend them and add a little dose of self-righteous Miracle-Gro; as if any fertilizer were needed. No, just like a lawn, weeds grow no matter the conditions. 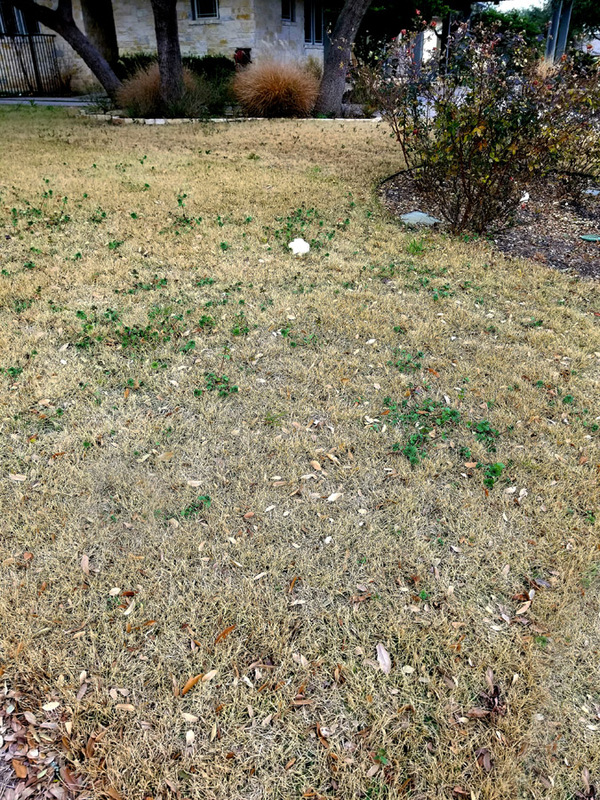 As soon as it warms up in Texas, the watering systems are turned back on, the days get a bit longer and there’s a good application of weed and feed, the grass will green up, and the weeds will be gone (or at least we won’t notice them as much). Until then I tell myself to try to not look at them, to keep my distance and respect the boundaries of the sidewalk. This might be good advice concerning our neighbor’s spiritual weeds as well. The reality is, we cannot pull weeds out of anyone else’s personality. We can’t change our children, our spouses, our parents, or our co-workers. There is no such thing as a personality herbicide and if there were, anything that we might try to apply from the outside would most likely kill the relationship. Let it be. Stop obsessing. Walk on by. Respect the boundaries. However, as we are trying not to focus on others’ weeds, could it be that God is giving us a glimpse of our true selves through them? Oswald Chambers challenges us to notice the kind of people that God brings around us, and we will be humiliated once we realize that this is actually God’s way of revealing to us the kind of person we have been to him. What? Seriously? Am I weedy? Think of the weediest personality you know and then ask yourself, is that how I am behaving before God? Am I stubborn and strong-willed? Am I unfaithful? Am I a liar? Am I selfish? Am I self-focused? Am I all about me in our relationship? Am I honestly evaluating myself? Have I failed to do sufficient work in my own garden? How does God see our weed patches? He doesn’t see our weeds, he sees our lush green grass. He sees perfection. He sees righteousness. Oh, not our perfection, not our righteousness, we don’t have any of our own. However, when we accepted Jesus Christ as our Savior, then his perfect righteousness was imputed to us (God thought of it as belonging to us), and our weeds – our sins – were imputed to him (God reckoned our sins as belonging to Jesus). The Apostle Paul explains it in Romans: We are made right with God by placing our faith in Jesus Christ. And this is true for everyone who believers, no matter who we are. For everyone has sinned; we all fall short of God’s glorious standard. Yet God, with undeserved kindness, declares that we are righteous. He did this through Christ Jesus when he freed us from the penalty for our sins. People are made right with God when they believe that Jesus sacrificed his life, shedding his blood (Romans 3:21-25a NLT). Of course, that doesn’t mean we are finished, we have been made perfect, but we still need to be made holy (Hebrews 10:14 NLT). We still have weeds/sins that need our attention. If we are not aware of any, we have the blessed assurance that if we ask, God will show us whatever is in us that is offensive to him. Fortunately, he is gentle with us; he doesn’t show us all the weeds at once. Sometimes in his gentleness, we start to think that is OK to let the weeds blend in with the positive attributes he is planting and nurturing in us. We pretend the weeds aren’t there because they don’t stand out as much when everything around them is green and growing. Our goal must not be to simply look good, but to grow in holiness. Holiness has no weeds. 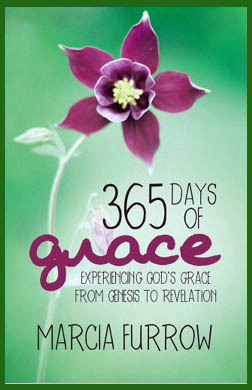 Is this the year to focus on holiness? To work with God and get to the root of why you are not who you know he created you to be? Will you commit to cultivate new growth through study, prayer, and fellowship with other Christians?